AmaWaterways officially unveiled the 164-passenger AmaPrima, which was christened on Aug. 6 in Vilshofen, Germany, by Valerie Wilson, founder, chairman and CEO of New York-based Valerie Wilson Travel, the 25th largest travel agency in the U.S., just a day after she celebrated her birthday onboard the vessel. "Being godmother and christening AmaPrima is the most incredible way to celebrate a birthday," said Wilson, who added: "I will always keep [this ship] in my prayers." Vilshofen has become a turnaround point AmaWaterways' Danube cruises, including those of AmaPrima, which has been sailing Danube itineraries since April. 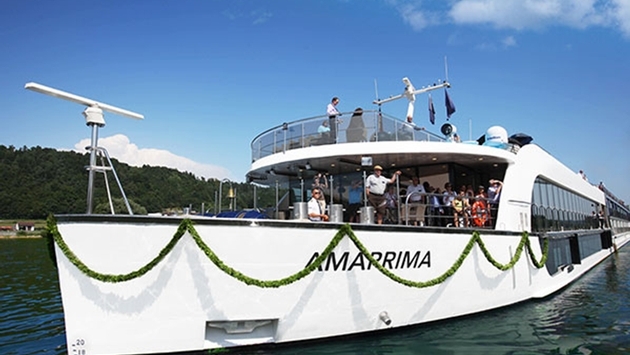 AmaWaterways has christened two other ships in Vilshofen: AmaLyra in 2009, christened by Michelle Morgan, president of Signature Travel Network, and AmaCerto (twin ship to AmaPrima) in 2012, christened by Christine Duffy, president of Cruise Lines International Association (CLIA). AmaPrima, which carries a crew of 50, offers a number of innovations, including a heated outdoor pool with swim-up bar on the Sun Deck; the Erlebnis specialty restaurant in the stern; twin balcony staterooms with both French balconies and full balconies; and fitness center, salon and massage room; and a glass elevator in the atrium. 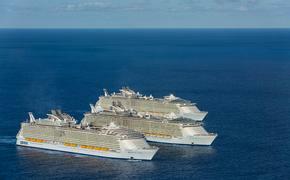 The ship is currently sailing seven-night itineraries from Vilshofen to Budapest and from Budapest to Vilsofen.